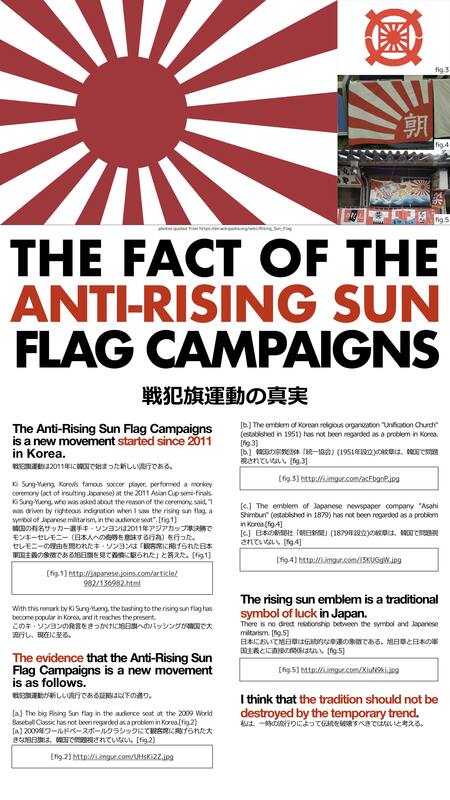 The sun flag is symbol of the discrimination by the Korean. Neighboring countries are not friendly. It is going to make political predominance. Even if it is a lie. To judge by hearing only one side of the story. It is very stupid thing. Japan reject historical slaves from Koreans.